The Defence Materials Technology Centre (DMTC) enhances Australian Defence Force capability and boosts Australian industry capacity through collaborations that are underpinned by Australia’s world-renowned research expertise. As a core participant in the DMTC, DST Group has helped to develop and deliver technology and manufacturing solutions to enhance Australia's defence capability. DMTC projects deliver real technology and manufacturing solutions to Defence across a range of disciplines. The involvement of the Defence customer ensures ongoing relevance to the Defence end-user. Established in May 2008, DMTC operates on a co-investment model that allows its innovative industry and research sector partners to leverage other funding and resources to maximise the impact of their work. DMTC operates as an independent, not for profit company, limited by guarantee. See the DMTC website for more. 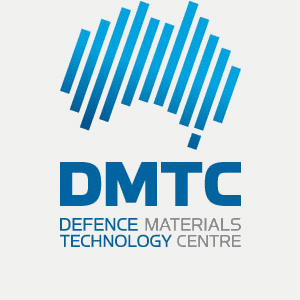 DMTC was established in May 2008 as Australia’s first Defence Future Capability Technology Centre – a Federal Government initiative announced that was announced in the 2007 Defence and Industry Policy Statement and derived from the successful Cooperative Research Centre (CRC) model. With the completion of the DFCTC contract in June 2015, the DMTC has transitioned to a new business model and an expanded role as an industrial capability partner under the 2016 Defence Industry Policy Statement.